Welcome to the Terms and Conditions we use to operate our business and the obligations we have to our clients and they to us. 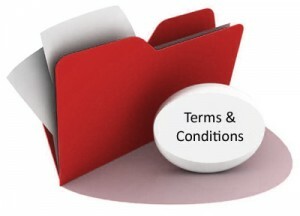 You will find the terms and conditions listed by product and general category. When you engage us to perform any type of work or service for you, you are agreeing to submit to the terms and conditions for the particular type of service or work we have engaged in with you.